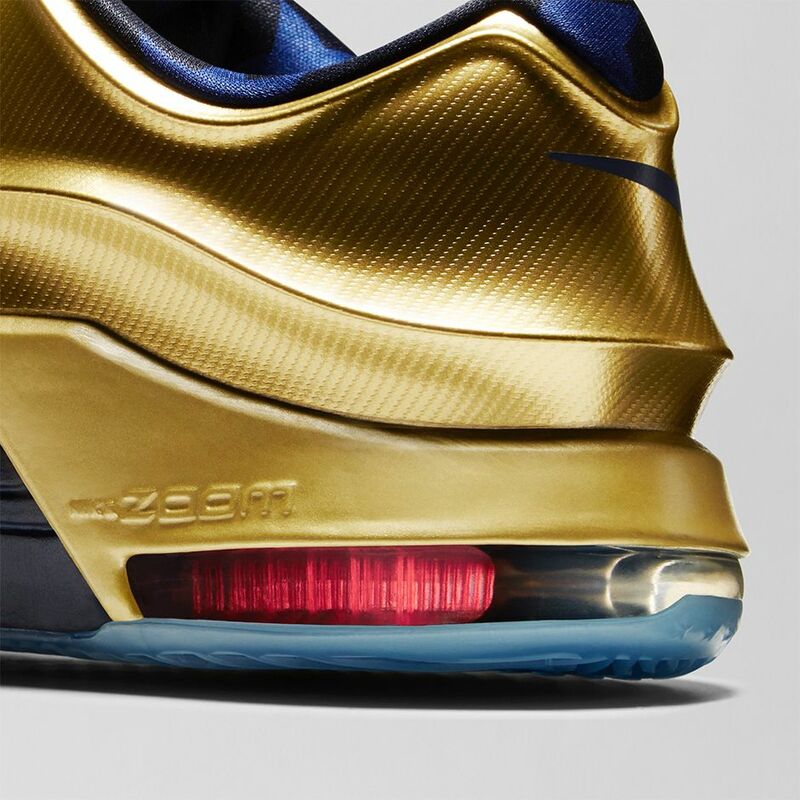 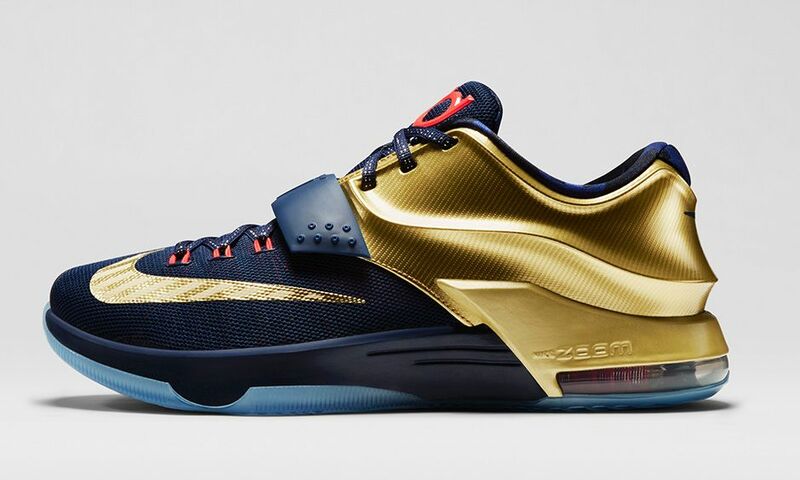 Reminiscent of trophies, the KD7 Premium comes dipped in Metallic Gold. 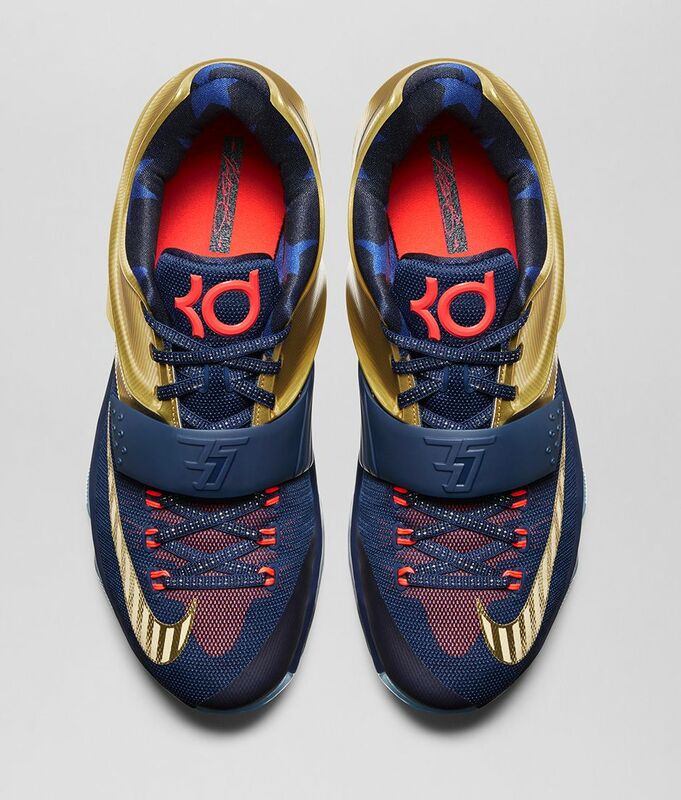 A prideful Midnight Navy covers the mesh upper and strap with hints of Bright Crimson on the tongue and Flywire. 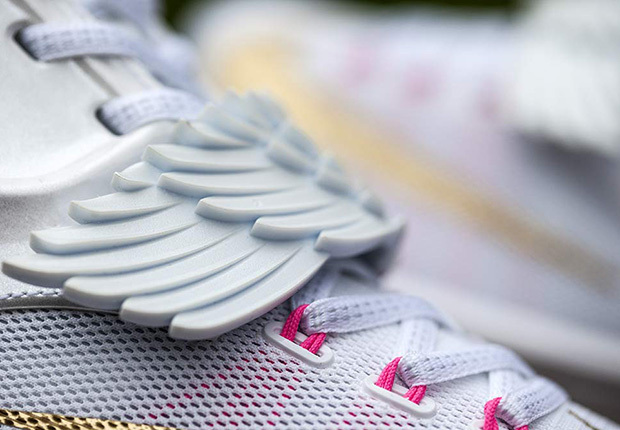 This premium pair is topped off with a subtle star print on the inner lining. 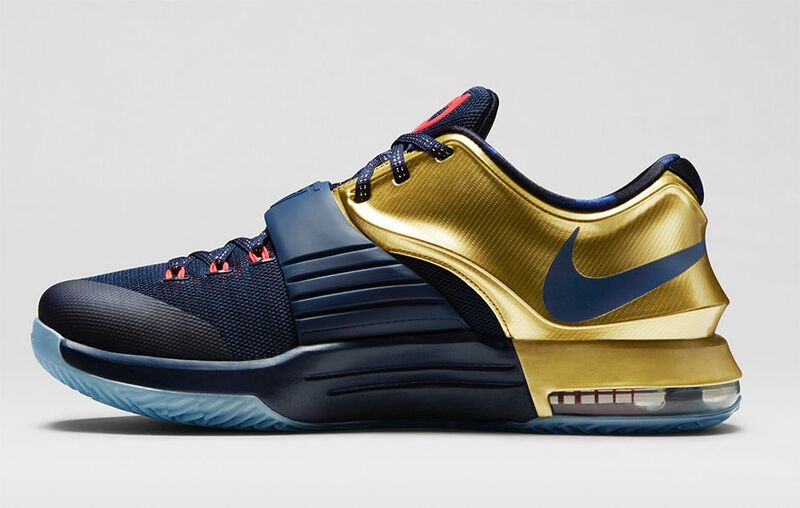 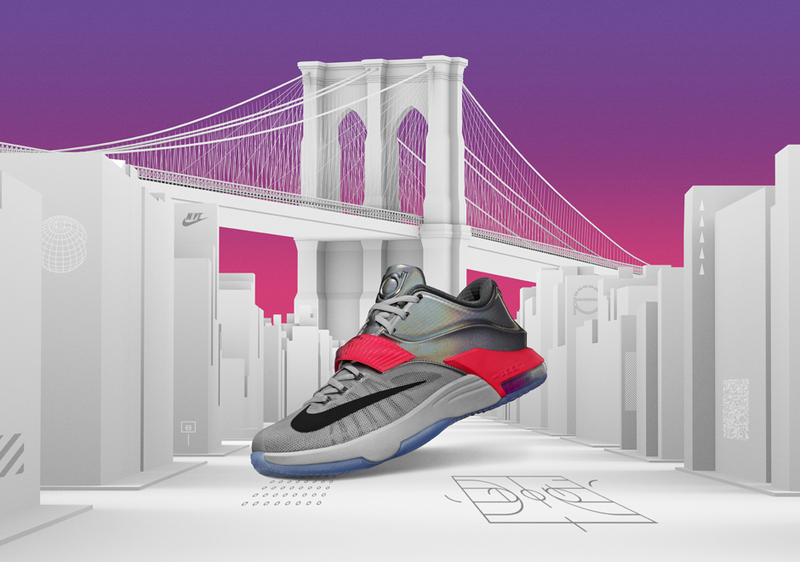 The KD7 Premium arrives Saturday, November 22 on Nike.com (8am EST/5am PST).